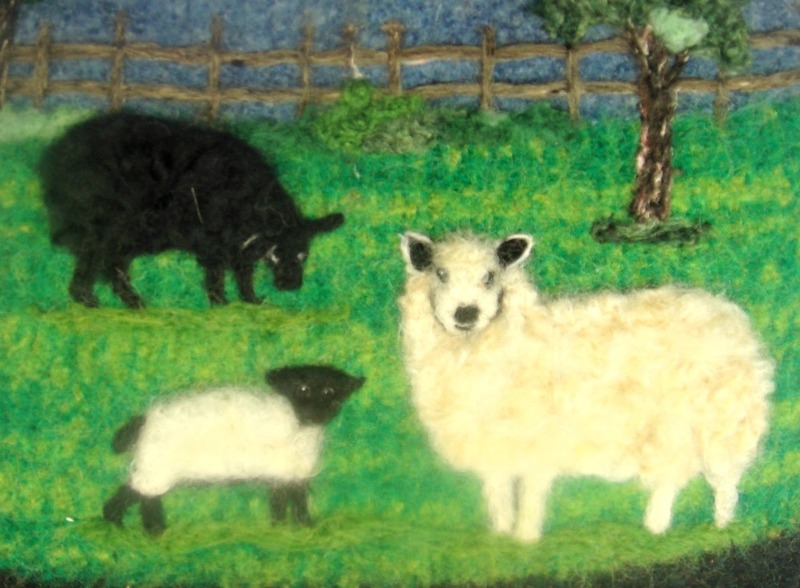 I love sheep!! Without them I would not be able to felt my treasures!! So much texture! These sheep pop! 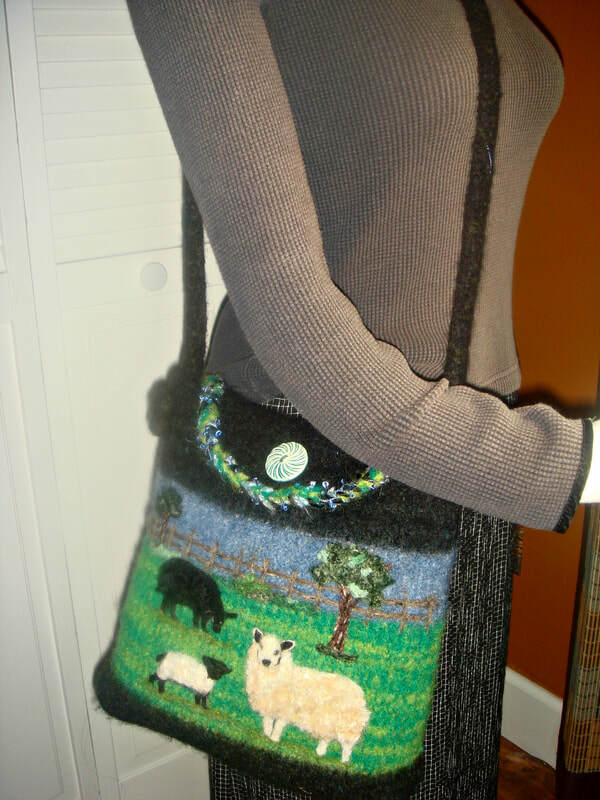 They highlight the front of this beautiful hand knit and felted tote of grass green, denim and black. 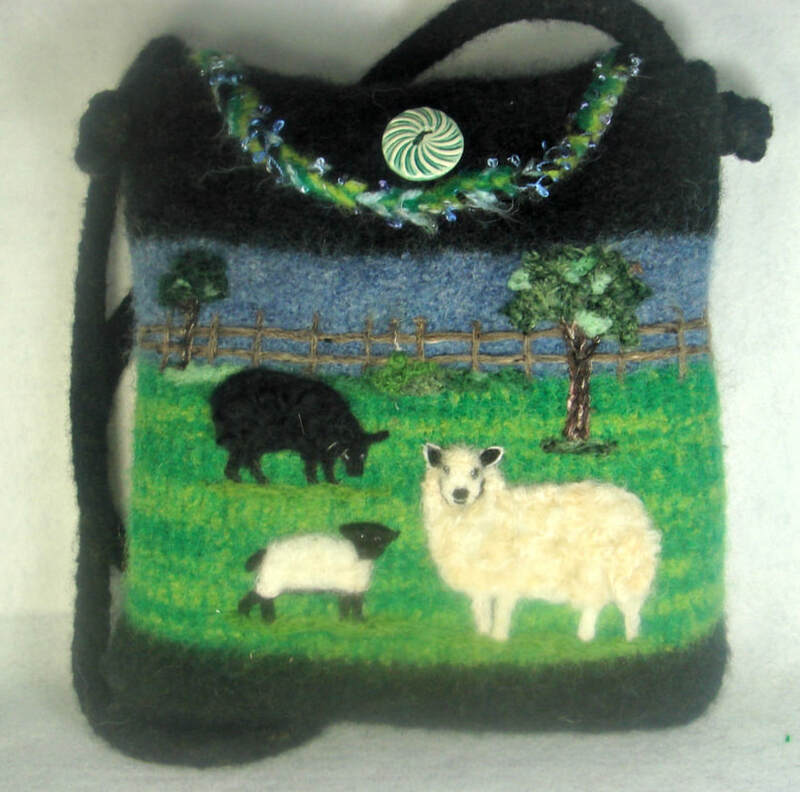 The bag closes with a ceramic button and has an inside pocket. The measurements are:12" wide X 10" high X 2.5" deep..The strap has a a 24" drop but can easily be shortened. MEASUREMENTS: 12" X 10"X 2.5"